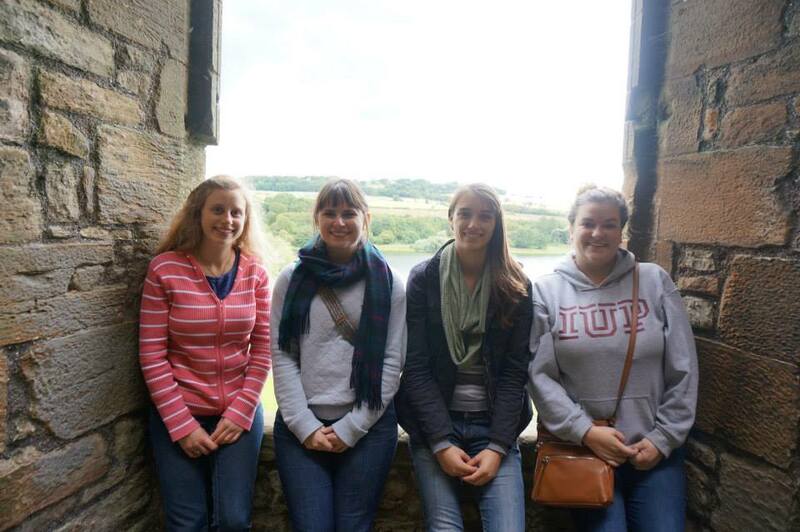 This is the start of our 4th week in Scotland, it’s crazy to think it has already been a month. Looking back over this short time I realize how busy we have been. Each week we have been blessed with opportunities to connect with the church, as well as grow deeper in our faith and understanding of the God we love. Each day we are given time to study, meditate, and memorize the Word of God. This is followed by our classes that revolve around the subjects of disciplines of the faith and examples of faithful works. Not only do we see faithful examples from the past, as we visit Covenanter sights, but we see it weekly from members of the Airdrie church. The church here is so invested in their members, youth, and surrounding community. We have had the privilege of joining the church’s METs (Mutual Encourages Times) where we meet with a group from the church and have a Bible study. Right now we are reading over Judges. The church also hosts a Kids Club on Friday evenings which we have had a great time running for the past few weeks. Here kids from the church and the community come together to play and learn about our great God. Once Kids Club is over CY (Covenanter Youth) begins. This is my favorite outreach the church does. Here the young adults of the church meet up with the teens to enjoy fellowship and learning more about the Word. I think it’s great that these teens have mentors and examples of faithful people to look up to and who they trust. Through these times we have been able to connect to all ages of the church. It is truly a blessing to be able to connect with these people and continue to connect with them as the semester continues. 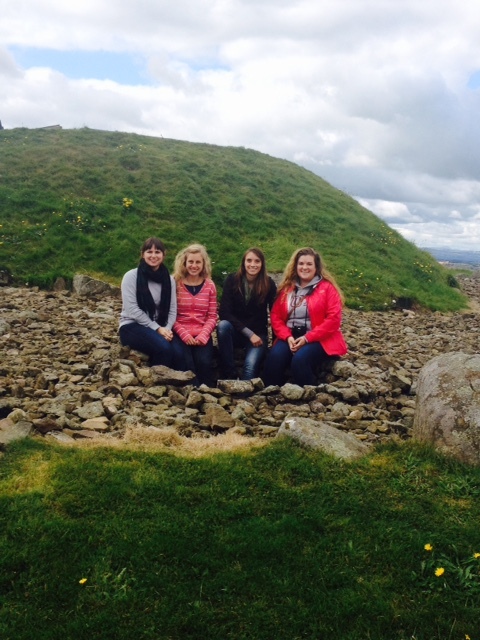 Our weekly field trips with Jimmy and Helen led us first to Cairnpapple. This site is from before the building of the pyramids! Over 4,000yrs old. Although no one is completely sure why it’s there, or who it was for, we do know it is a grave site. 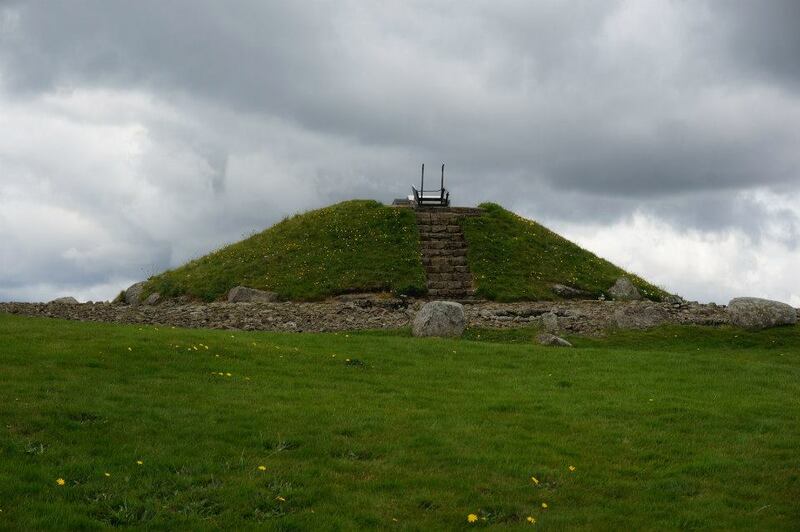 The odd thing about this grave site is that it is in the middle of farm land, on a peak of a hill, overlooking the beautiful view of the coast, highlands, and cities of Scotland. 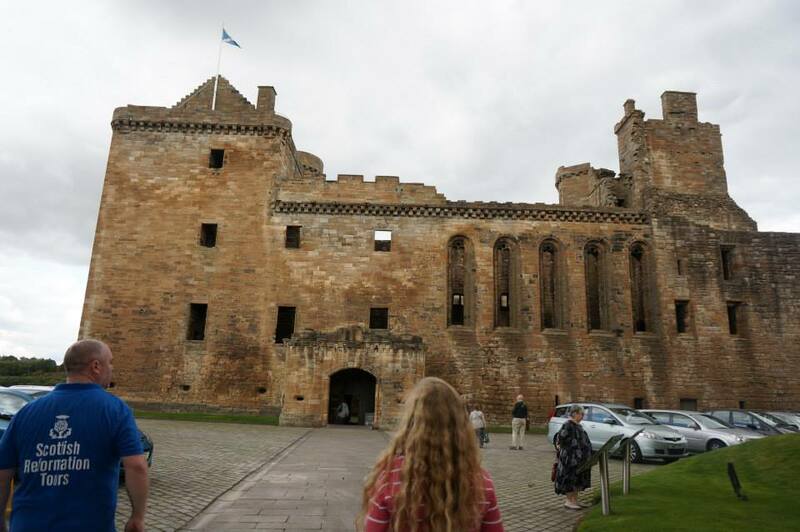 From there we drove to the city of Linlithgow. 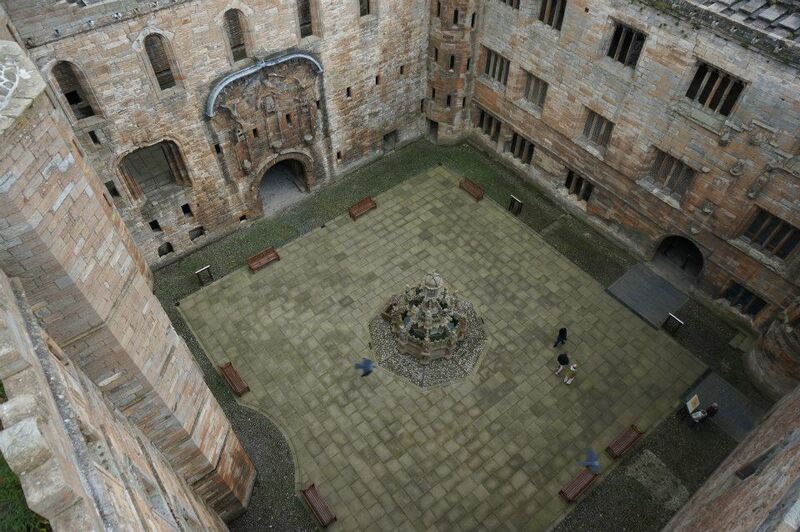 Here we saw the remnants of the palace of Queen Margaret. 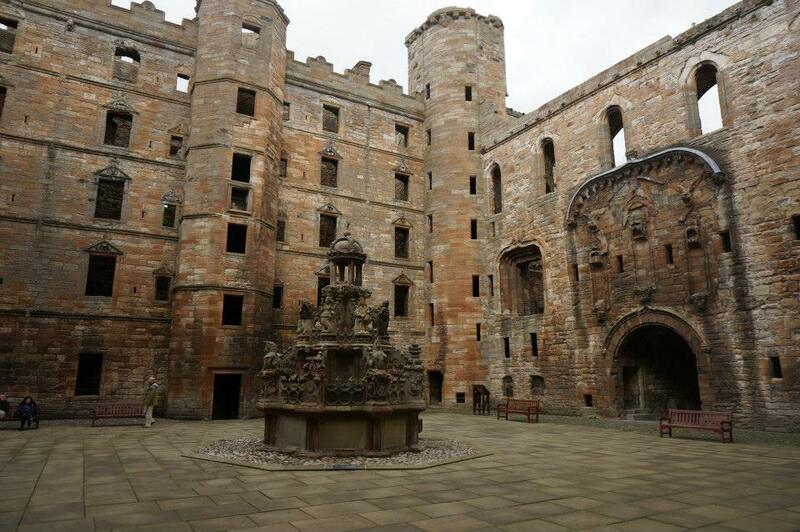 This was the birthplace of Mary, Queen of Scots. On the palace property is the church where Mary was baptised. The church today is still open and operating as a church. Inside we saw the tall ceilings and stained glass windows. You can see the carver’s symbols in the stone of the pillars. The history and beauty within these buildings here are breathtaking. After a quick tour of the church, we walked over to the palace. This building was different than the places we had visited before. Previously the castles and churches we have seen have been restored, this palace was not. It has been well kept and preserved, but it lacked a ceiling, windows, and doors. We were allowed to wander around this endless maze of hallways and rooms and see the great halls, spiral stone staircases, and tall towers. As we got lost in the palace we could only imagine how this place would have looked in historical times. The fact that this palace had been in the state it was made it more breath taking with huge stone window frames to look out to the lake adjacent to the palace and a stone fountain in the midst of the courtyard. The history here was just amazing to walk through. These opportunities we have to travel are amazing to see the times of these buildings. Many of them are older than our nation as a whole. It just puts life in a different perspective, seeing the bigger timeline than just our country. We are all excited to begin our week long tour with Jimmy and Helen to see the memorials of faithful Covenanters who died for their faith. Pray that God would use these opportunities to have us reorient our lives to stay focused on Him. As we enter into our third week here in Scotland, I have to admit this is the longest I have ever been away from home! As the homesickness begins to dampen my time here, I am swept away by the loving kindness of the congregation! The amazing history and sight seeing helps a bit too! 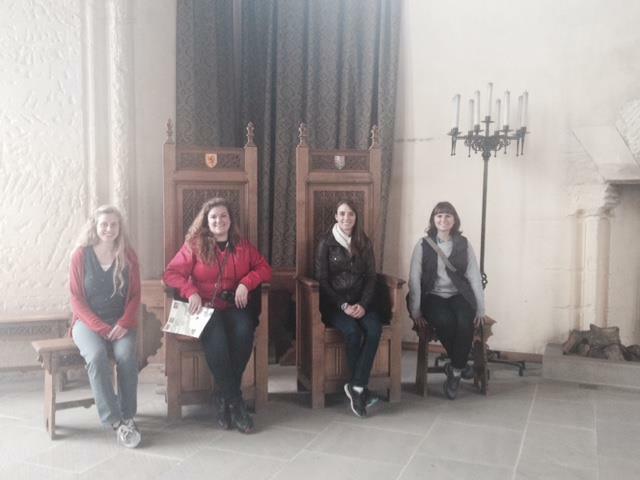 This week Helen and Jimmy Fisher took us out on our first “field trip” to Stirling Castle! What an amazing thing to see, and to understanding what happened there years and years ago make it all the more fascinating as we see history come alive! The running joke of the trip so far has been “that’s older than the United States!” and we have seen that so presently! Right down the hill from the Castle is a church called “Church of the Holy Rude” which was established in 1129 and has pews older than America! In this beautiful, still functioning church, was a mark on the ground where the infant son of Mary Queen of Scots was crowned King James VI. Such incredible history and we were standing in it! As breathtaking as the historical tours have been, another aspect of our time here in Airdrie that has been very enjoyable for me is helping out with Kids Club. In light of Beth’s trip to the States, the four of us American students and three or four church members have been left in charge of 10 or so children under the age of 11. This week’s lesson was about the first commandment “You shall have no other gods before Me” Exodus 20:3. The children participated in Commandment Bowling and craft time that included making bracelets that read “Put God First”. It is such an amazing opportunity to see God work in the lives of these children and see their excitement to hear His Word! I am truly blessed to be here and worship with the people of this congregation and have a small part in the amazing things they are doing for the Lord and for the Community of Airdrie. Benediction. 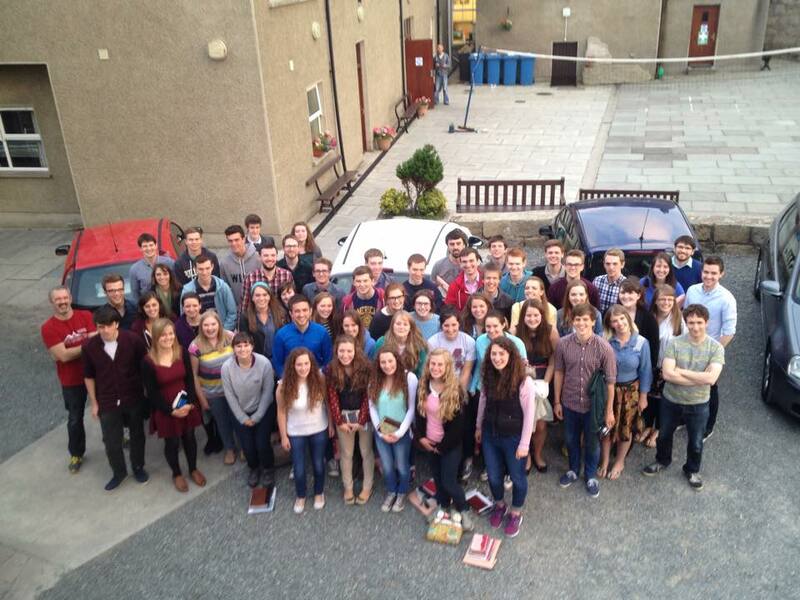 The young people there were very welcoming towards us, and I was encouraged by their kindness towards us. All these aspects really ministered to me, but I was especially struck by the beauty of the landscapes and scenery that surrounded us. 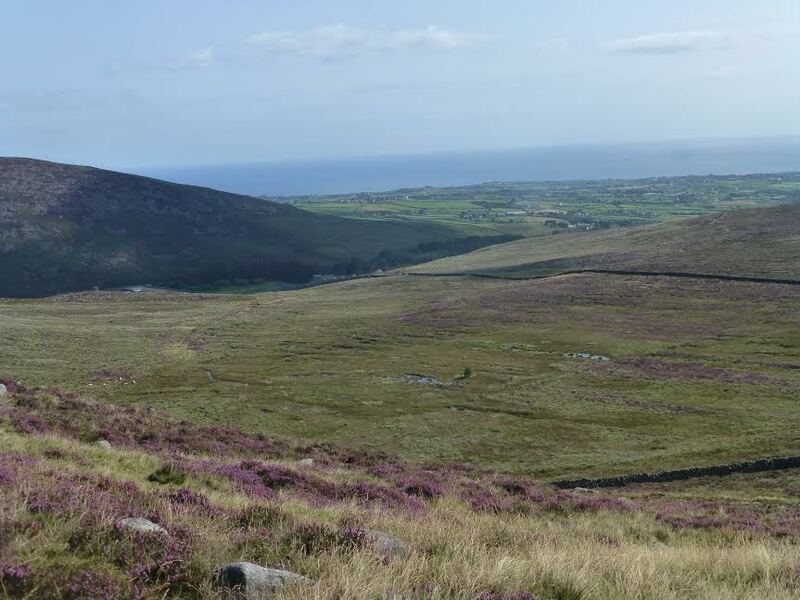 The retreat was held in a small town called Annalong, at the foot of the Mourne Mountains and adjacent to the sea. When driving to the manor where the retreat was held, the views were spectacular with the mist concealing the mountain tops on one side and the sea extending until it touches the sky on the other. creation and His care for all living things. During our Psalm sing, I was again filled with wonder at God’s creation. We were sitting surrounded by trees with birds and fields of cows and sheep. As we sang, all creation lifted up their voices and praised God. “Mountains and all hills, fruit trees and all cedars!